The original home of the legendary Kohinoor diamond, Hyderabad is no less a wonder in itself. The buzzing city is a colorful milieu of sights and sounds that are unique to its social and cultural fabric. When you are in Hyderabad, it’s hard to miss the timeless charm the city extends. Be it the iconic Charminar, the Golconda Fort or the Hussain Sagar Lake, it has plenty of attractions in its kitty to keep you thoroughly engaged and mesmerized. Not to forget its gorgeous pearls and lip-smacking biryanis, the fame of which has spread far and wide. Now, when it comes to fun-filled activities to indulge in during weekends, Hyderabad can raise the bar really high. Think of thrilling water rides, slides, and hours and hours of fun and frolic! The city boasts of some of the most amazing water parks that can make your weekend a one-of-its-kind experience. Whether you live in the city or are visiting it on a holiday or a business trip, these water parks are the ultimate fun spots where you can create everlasting memories with your friends and family, not to mention the adrenaline rush. So, step out from your hotels in Hyderabad and let the fun begin. 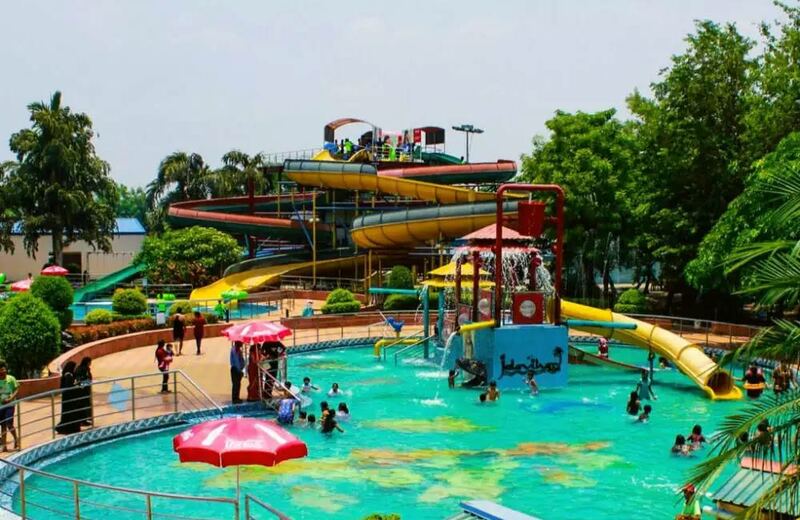 Here, in this blog, we are listing out the top 5 water parks in the Hyderabad where weekend fun has a whole new definition. Going by the footfall this amusement park has been drawing since its inception, there is no doubt that Wonderla counts among the most popular fun destinations in the city of Hyderabad. And why not! For starters, the place offers endless fun and thrill, thanks to its assortment of adventurous water slides and rides. Did you know that Wonderla Amusement Park Hyderabad boasts of being the first park in India to introduce reverse roller coaster ride? That’s not all! The adventurer in you will be spoilt for choice while exploring the plethora of splashing and sliding thrills on offer. Some of the crowd favorites include Fun Racers, Wavy and Vertical Fall, Boomerang, Drop and Tornado, Sea Lagoon, Lazy River, Rain Dance, and Wave Pools among others. What makes the place a perfect destination for a family day-out is the fact that it has water rides for adventure seekers of all age groups. Be warned that it won’t take long for the child in you to come out once you step inside this wonderland of adventure and water thrills. When it comes to facilities, the park is second to none, with lockers, changing rooms, ATM counters, souvenir shops, prayer rooms and a spacious parking area. Now, before you buy Wonderla Hyderabad tickets, remember that the park provides a one-time payment option that enables you to enjoy a ride for as many times as your heart desires. Also, make sure to check out the park’s website for special offers and discounts. So, get ready to splash around the whole weekend at this land of wonders! 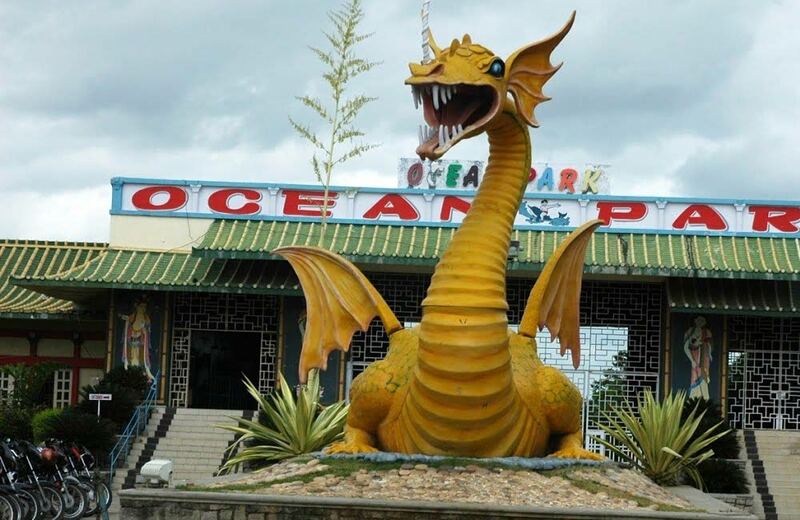 A drive of just 21 km from the city will take you to Ocean Park, a one-stop destination for day-long adventure and fun. The park, located on a beautifully landscaped area of 15 acres, is divided into two sections – one for amusement rides and the other for water rides and slides. 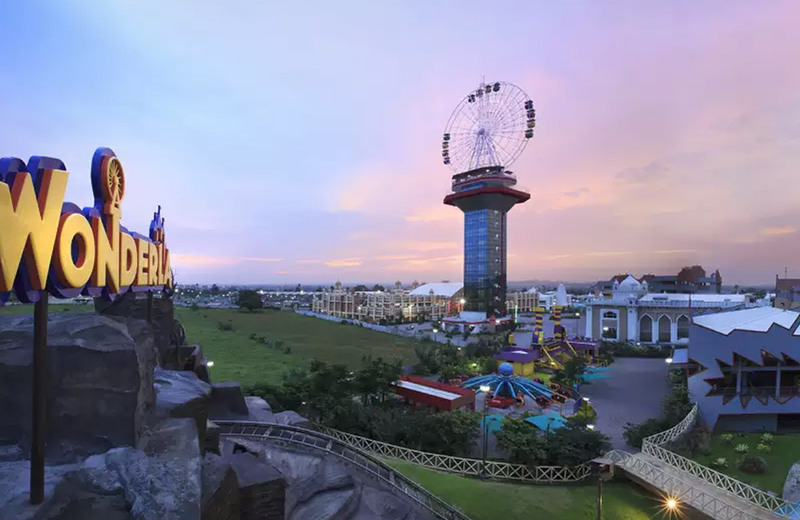 Ocean Park, Hyderabad is among the first three theme parks to adorn the city’s landscape and beckons you with several water-based adventures and rides designed to entice the young and the young-at-heart thrill seekers. Its interesting pack of water rides and games include Aqua Trail, Zip Zap Zoom, Pendulum, Tornado, Hara Kiri, Crazy Cruise, and Wave Pool, to mention a few. What’s more, this water park in Hyderabad has quite a few water slides and attractions designed exclusively for women and tiny tots. This makes it a perfect spot to spend some quality time with your family. Attractive offers are available for corporate team outings, kitty parties, and students from schools and colleges. The park also has a restaurant, ice cream parlor, and bakery where can refill your engine after a few hours of fun and adventure. Escaping from the clutches of routine life and surrendering to unrestrained fun and frolic becomes so easy when you step inside the world of Escape Water Park, Hyderabad. Remaining true to its name, the water park offers thrilling water slides and games that make every moment spent there a memory to relish. Some of the interesting and adventurous water rides you can indulge in here include Zumba Loop, Super Combo, Jumbo Raft, and Cracker Curves. But that’s not all. The park has many other unique rides and slides on its platter, such as Crazy Rapids, Jumbo Rafts, Float Pool Spiral, Mat Racers, Tilting Bucket, and Tunnel Twister. For the little ones, the water park is no less than a haven, thanks to the long list of water rides on offer exclusively for them. With around nine pools and forty-six rides, this water park definitely brings to town an expansive range of aqua fun and adventure. Once you are done with your share of the water thrills on offer, head out to the lavish food court within the park complex to gorge on some lip-smacking delicacies being dished out. 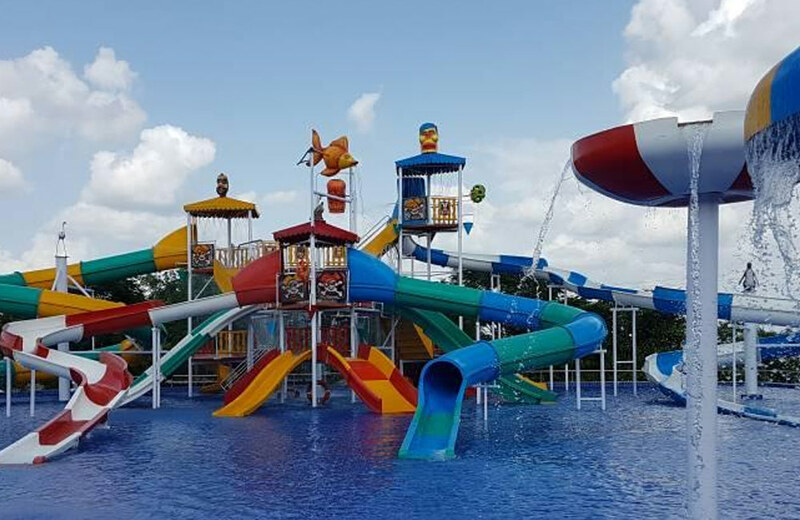 Whether you are looking to cater to your rising adrenaline levels by indulging in some high-adventure, scream-worthy rides or planning to have a fun-filled, relaxed time with your family and kids, Escape Water Park has it all. Love Hyderabad but hate its heat? Head out to Jalavihar Water Park Hyderabad to get respite from the sweltering heat that seems to envelop the city during the summers. An entertainment family park, it is segregated into two zones – an entertainment zone and a party zone. The entertainment zone houses an amazing water park, full of all kinds of water rides and slides to keep you busy and entertained throughout the day. The huge wave pool that generates artificial waves is one of the main highlights of the park and counts among the largest in India. Then there are water slides like the Twister that can be said to be the Big Boss of all rides at the park! Whether you opt for the Tube rides, the Multi Line slides, the Pendulum ride, or anything else, each activity is sure to leave you thrilled beyond words. Another major attraction is the DJ Rain Dance that allows you to get wet and wild on the dance floor with your partner as the DJ plays some high-energy beats to keep you on your toes. The park also has facilities to organize parties and events. With so much on offer, this is one place that you sure need to check out before you bid goodbye to this city! Wild Waters is a popular name among the city’s adventure and aqua fun seekers. Spread across an area of 30 acres, this aqua park is a great place to indulge in some family fun on any day of the week. A blend of amusement rides and water slides, the place boasts of a number of thrilling attractions to keep your adrenaline level floating high. Among the crazy rides of the park is the Wave Rider that takes you through 240 feet of sheer thrill and delight. Then there’s the 220 feet long Free Fall that drops you from a 40 feet high tower and you go down at a speed of 50 km per hour. The Twister is another adventurous ride that takes you through a twisting and turning 325 feet long closed-tunnel and lands you in a tub filled with water. The list is long and each ride is equally thrilling! 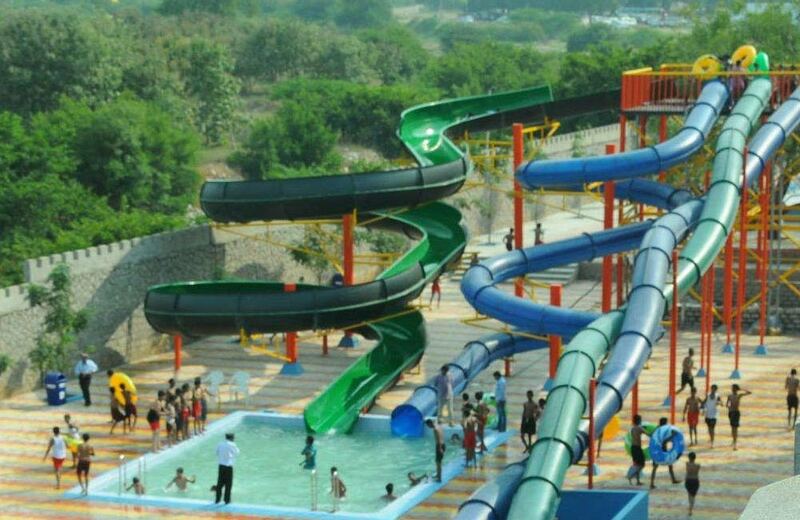 One of the biggest attractions of this water park is the 16000 sq. ft. wave pool that is designed to mimic a real beach. It features a sandy beach area, complete with tropical landscaping and a coconut grove. Also, if you love dancing in the rain, there’s a huge Rain Disco area where you can show off some cool dance moves with water, with a lively background music adding to the whole ambiance. Add a touch of adventure and fun to your Hyderabad days with a visit to one or more of these water parks. You will definitely return home with a bag full of cherished memories of your stay at this old city with an everlasting charm.